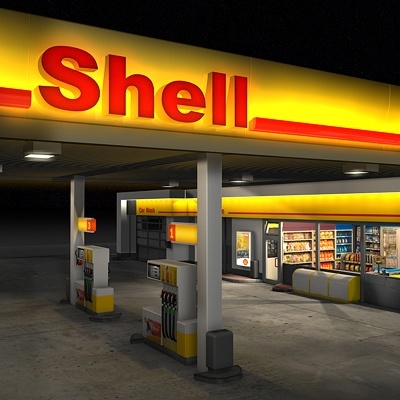 The other night I had a potentially energy draining experience at the local Shell gas station. After realizing that gas was .15 per gallon more than the local grocery store (I should’ve bought it when I was there) I filled the tank up. So why the big price difference? Better quality gas? Better service? Hey wait a minute this is self-serve isn’t it??? The transaction was completed and up on the screen the message flashed … Would you like a receipt – yes or no? Why of course I would, so I pressed yes! Up on the screen a new message flashes … Please see attendant for receipt! Are you kidding me!!!! I went inside and stood there for 6 minutes while the cashier who had giant discs wedged in his ear lobes tried to impress the cute young lady in front of me as he slowly and painfully rang up her single can of Red Bull. I could feel the anger rising in me and the negativity starting to drain any happiness or joy I was feeling 15 minutes prior to stopping for gas. Jump over the counter and rip the giant quarter size gauges out of his ear lobes. Walk out and never buy gas there again. Decide that I would not allow an external factor (person, situation, etc) drain me of one of my most valuable resources … MY ENERGY! Door #3 please … yes the box where Carol Merrill is now standing!! Every day we are faced with decisions and how we respond to those decisions determines whether our energy level increases or decreases. Giving negative situations or people access to our energy supply will most certainly rob you of this precious resource. Negative factors drain energy at a very rapid rate. Protecting your energy supply by responding in a positive manner can actually increase your energy level. Sometimes you just need to laugh and let it go! Are you aware of the energy draining people or situations in your life? What if you only had a lifetime limited supply of energy (units) in your life? Would that change how quickly you let go of those negative situations or people? Imagine what your life would be like if you made a conscious decision to let go of the negative people, situations, customers, and beliefs that are robbing you of your precious energy? And you did it in a positive, loving way? So what direction is your energy headed … going up? PreviousPrevious post:Need A Lift?NextNext post:Getta … iPad 3? Is this a trick question where the answer is all of the above! Thanks for the question! No it’s not a trick question. Option 1: Isn’t an option if I want to stay out’ve jail. Option 2: Means I hold onto resentment and negative energy reminding myself about the incident every time I pass by the station. Option 3: Is what I chose and for me the best option. I keep my energy! Besides the cashiers response is more about him and really has nothing to do with me!